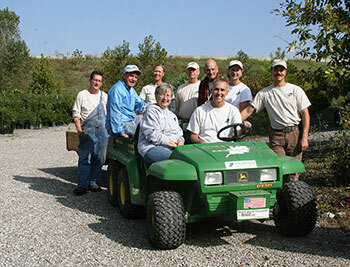 Forest ReLeaf hosts free tours throughout the year at CommuniTree Gardens Nursery in Creve Coeur Park. The tours, open to the public, are held once a season during spring, summer and fall and are announced a month in advance. 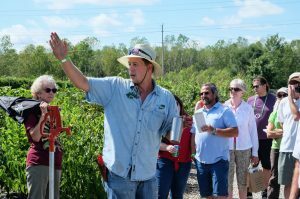 Join us for a walk-through of our nearly 6-acre property and learn all about our region’s only community-assisted tree nursery. Pre-registration is required in order for our nursery tour guides to have a sense of how many will be attending and be able to accommodate. We look forward to having you come out and learn more about Forest ReLeaf of Missouri! Please sign up for our email announcements to be alerted of upcoming nursery tours. Upcoming tour dates and links to register can be found on our events page. This is some icon box content. Click to change.